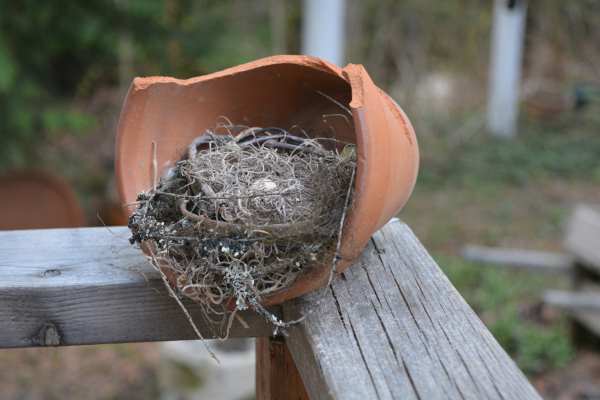 Birds will build their nest anywhere - even in a terracotta pot discarded from the potting bench. So why not copy that for an ultra cute bit of rustic garden art? 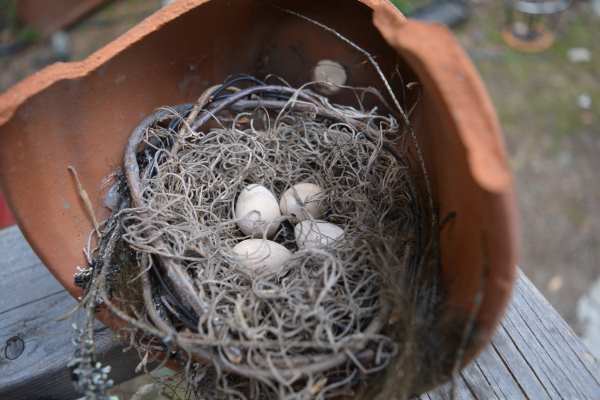 The base of the nest is wire - you can see the method I use to make them here. This one is a bit bigger than my usual kind, and ends up being about four to five inches across. Then it's lined with spanish moss which you can buy at the dollar store, and tucked into the terracotta pot. A few branches with lichen make it look even more rustic. The eggs in this case, unlike the wooden beads on my usual ones, are complete little wooden eggs. I drilled through them (just like making a bead) and they're wired into the nest. I very carefully smashed the cracked pot to make the hole bigger, and then it can be displayed on a shelf or in a corner. Your porch would be a perfect place to show it off. Tuck it into the eaves for a hidden surprise. 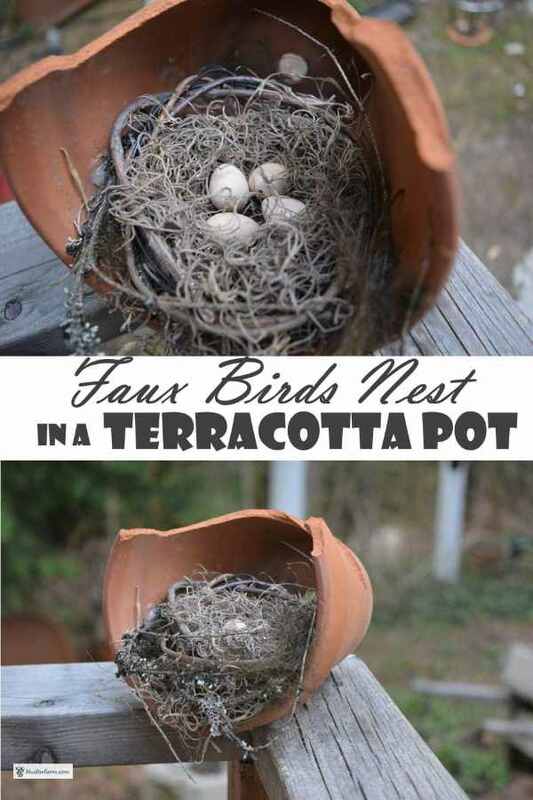 The nest was hot glued into the pot to make sure it stayed in place.